I’m dyslexic, I couldn’t spell or punctuate, and I’d flunked a creative writing course. But I’d always loved the movies. 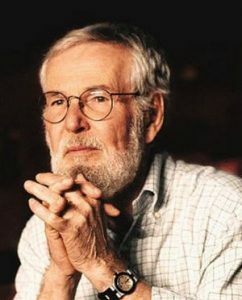 As a child growing up in Texas, Robert Benton suffered from severe dyslexia that prevented him from reading or writing very well. Only movies seemed to hold his attention, and, fortunately, his father took him to see them about three times a week. I was dyslexic before anybody knew what dyslexia was. I was called ‘slow’. It’s an awful feeling to think of yourself as ‘slow’ – it’s horrible. Miraculously enough, I was accepted to the university on probation, and it was there that I was able to flourish. UT turned out to be probably the best place in the whole world that I could have gone. There was a remarkable change. What was most interesting for me to watch was his ability to read information around him – signs, posters, pamphlets etc. He had previously struggled so much with this type of reading. Also, he has read chapter books on his own now. Instead of reading aloud to me, he reads on his own. He stops to tell me about the story and read interesting parts, so it seems like he really is understanding and enjoying.